Memberships are owned by the firm and transferable within the firm, therefore membership does not follow an individual if they leave the firm. Learn about all the great reasons to become an SEGD member on the Joinpage. 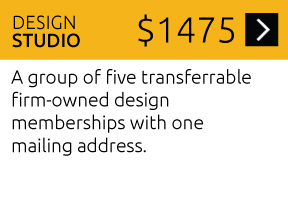 IMPORTANT: Recurring membership ensures that you receive uninterrupted SEGD member benefits. By selecting recurring membership, you agree to these terms and conditions.